– It is between people, therefore, it is a much closer service, almost VIP. With Drivy, families can rent cars to other families for example, knowing they will have a baby seat included. Or smokers can rent cars for smokers, or if you have a pet, you can rent a car from people who have pets too, or car that allow pets. The deal is personalized because you are talking to a person like you. And this is guai. In addition, without major complications: without queues, being able to have the car in front of your house or near, without having to go to the airport / station of shift … it is almost a rent between neighbors, and above all, the final price is the price Final (without charge of deposits on the credit card). – It’s more transparent. The owner sets the price per day and per kilometer, but beyond that, then there are no extra deposit charges. – It is more economical: especially in high season, the prices of rentacars soar. With Drivy, prices are marketed by owners, and are never abusive. They can be between 30-50% cheaper, and in times of high demand summer or Easter, the difference is even bigger. – On-demand: You have cars all over the city, you do not have to go to any parking, office or queuing. You can find a car in the corner of your house. – It’s sustainable consumption: Why put more cars on the road? If the ones we have are stopped, let’s use them. – Create community. Each time you rent a car to someone, then you can rate it, and the owner to you too. The more and better the score, the easier it is to re-rent a car as you come out on the first results. This creates a platform that has the reputation and honest and real valuation of the users themselves, without cheating. Now everyone prefers the advice of someone real, someone like us. We prefer the TripAdvisor reviews of a restaurant, no matter how much the restaurant says it is the best in the world. We need feedback from other people like us. At the Cántabra Surf School we are very much in favor of the collaborative economy and we like the projects that relate to people, in a totally flexible and tranparent way. We also think it’s a great idea to share cars that would otherwise be stuck. 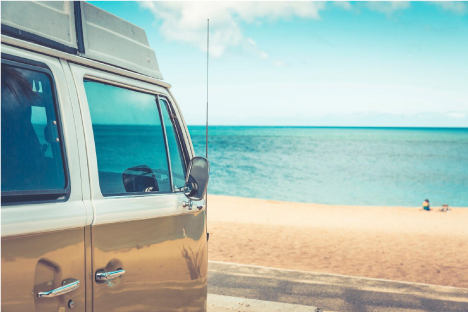 For all this, Drivy and the Cantabrian Surf School have joined as partners, and are carrying out communication actions to extend this way of understanding the use of cars and road trips, from our point of view, a way much More sustainable than usual. It’s very simple. 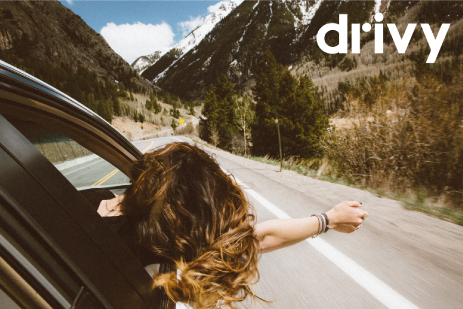 Drivy is a platform for people who have a car and do not use it daily, and those who need a vehicle on time, to go on a getaway, vacation, or make moves or moves. The owners make a profile, with the photos of your car, and decide price, conditions, availability calendar, etc. It’s like an airbnb but with cars. When someone wants to rent a car, send a rental application to the cars that fit the most, and the owners can accept or reject. If they accept, the driver pays through the web or the app, and the day of the rent, they remain. When they are, you have to sign a lease, which can be done directly from the mobile, without printing anything, and the rental can start. Everything is fully insured with Allianz for the owner, so you do not have to worry about anything. 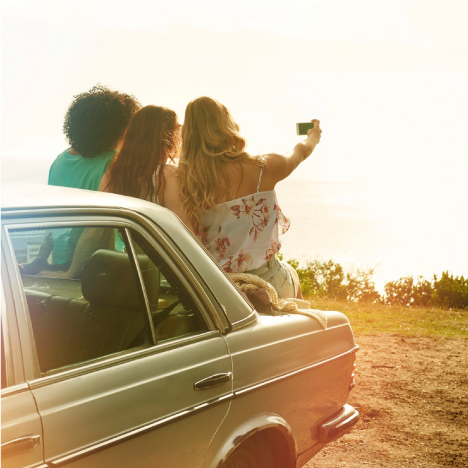 If you rent a car in Drivy, you can travel with them to these countries: Andorra, Austria, Belgium, Denmark, Spain, France, Italy, Luxembourg, Monaco, Netherlands, Poland, Portugal, Czech Republic, Slovenia and Switzerland. 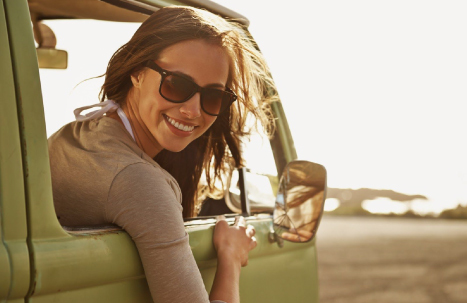 BlaBlaCar: it is about sharing the trip and expenses, so you travel with the owner. Avancar / zipcar: it is about renting a car “type” of a specific fleet, to run errands in the city itself. That same car, you park it, and it can be used by someone else. It is intended for short journeys, not for weekend rentals, holidays or getaways. Car2go: it’s about renting an electric car, paying for minutes, and that car is from a professional fleet, and it’s for urban use. So now you know! If you are planning a surf break, get a car in Drivy and come to surf with the Cantabrian Surf School.